Multi-level scrollsawn box built from Poplar and Bloodwood. 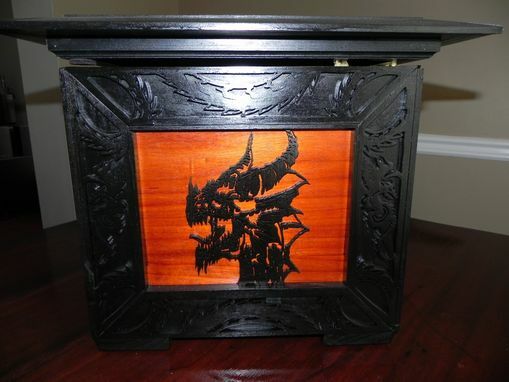 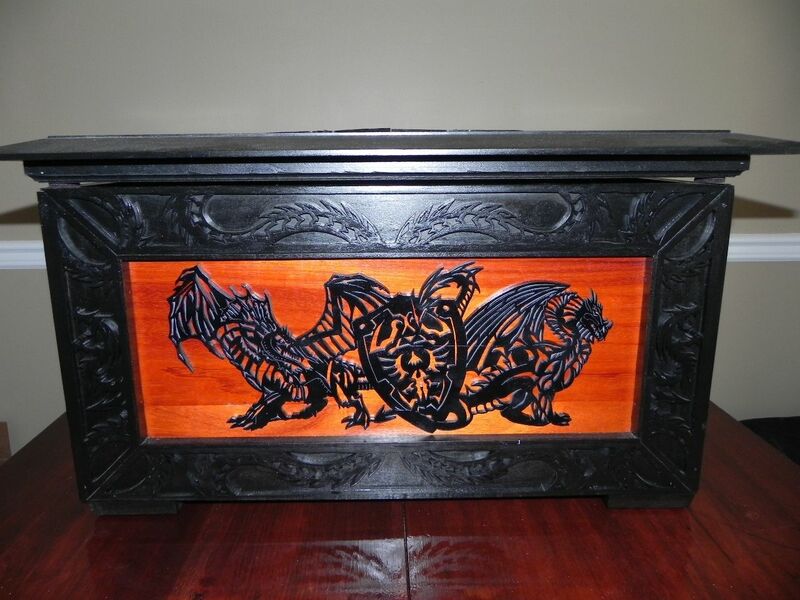 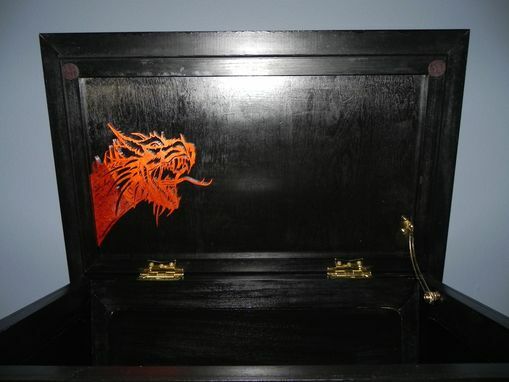 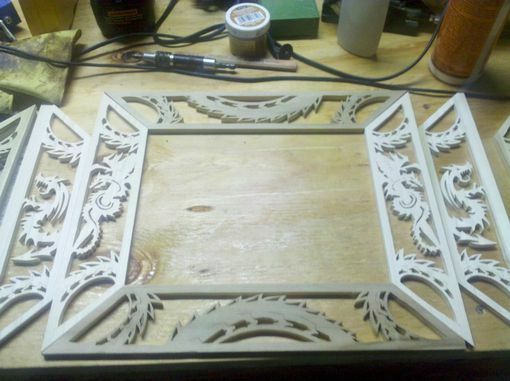 The frame is covered with scrollsawn dragon scales and pictures, all dyed black inside and out. 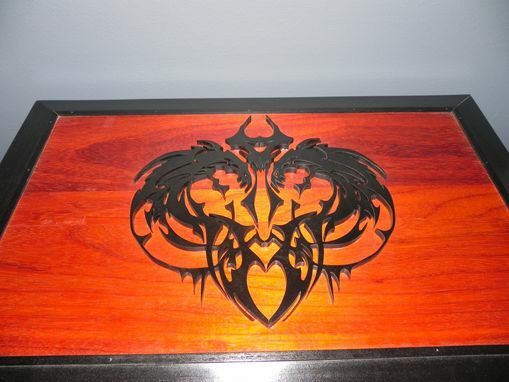 The panels have bloodwood mounted for contrast and more scrollsawn scenes, which are different on each face.